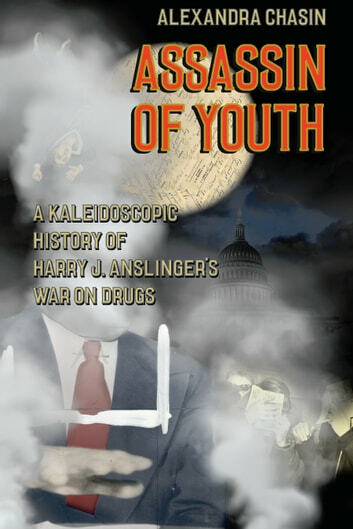 Commissioner of the Federal Bureau of Narcotics from its establishment in 1930 until his retirement in 1962, Harry J. Anslinger is the United States’ little known first drug czar. Anslinger was a profligate propagandist with a flair for demonizing racial and immigrant groups and perhaps best known for his zealous pursuit of harsh drug penalties and his particular animus for marijuana users. But what made Anslinger who he was, and what cultural trends did he amplify and institutionalize? Having just passed the hundredth anniversary of the Harrison Act—which consolidated prohibitionist drug policy and led to the carceral state we have today—and even as public doubts about the drug war continue to grow, now is the perfect time to evaluate Anslinger’s social, cultural, and political legacy. In Assassin of Youth, Alexandra Chasin gives us a lyrical, digressive, funny, and ultimately riveting quasi-biography of Anslinger. Her treatment of the man, his times, and the world that arose around and through him is part cultural history, part kaleidoscopic meditation. Each of the short chapters is anchored in a historical document—the court decision in Webb v. US (1925), a 1935 map of East Harlem, FBN training materials from the 1950s, a personal letter from the Treasury Department in 1985—each of which opens onto Anslinger and his context. From the *Pharmacopeia *of 1820 to death of Sandra Bland in 2015, from the Pennsylvania Railroad to the last passenger pigeon, and with forays into gangster lives, CIA operatives, and popular detective stories, Chasin covers impressive ground. Assassin of Youth is as riotous and loose a history of drug laws as can be imagined—and yet it culminates in an arresting and precise revision of the emergence of drug prohibition. Today, even as marijuana is slowly being legalized, we still have not fully reckoned with the racist and xenophobic foundations of our cultural appetite for the severe punishment of drug offenders. 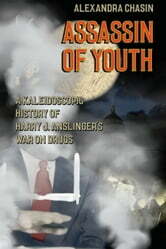 In Assassin of Youth, Chasin shows us the deep, twisted roots of both our love and our hatred for drug prohibition.